With a population of more than two million people, Addis Ababa is not only the political capital but also the economic and social nerve-centre of Ethiopia. Founded by Emperor Menelik in 1887, this big, sprawling, hospitable city still bears the stamp of his exuberant personality. More than 21,000 hectares in area, Addis Ababa is situated in the foothills of the 3,000-metre Entoto Mountains and rambles pleasantly across many wooded hillsides and gullies cut with fast-flowing streams. Wide, tree-lined streets, fine architecture, glorious weather and the incongruity of donkey trains along the boulevards make Addis Ababa a city of surprises and a delightful place to explore. 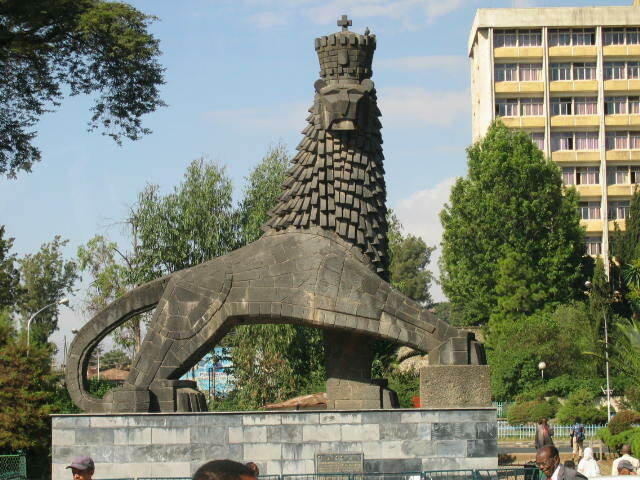 Addis Ababa stands at the very heart of Ethiopia and there is much to do and to see. The city has a flourishing cultural life, with regular exhibitions and lectures. There are many opportunities to experience Ethiopian music, song and dance, to visit museums and to see the city sights. Traditional restaurants abound in Addis Ababa, and offer entertainment in the form of the ubiquitous massinko minstrels and traditional dance troupes. There are also many other specialist restaurants in the city, including Chinese, Italian, French, Indian, Armenian, Arabic and Greek.